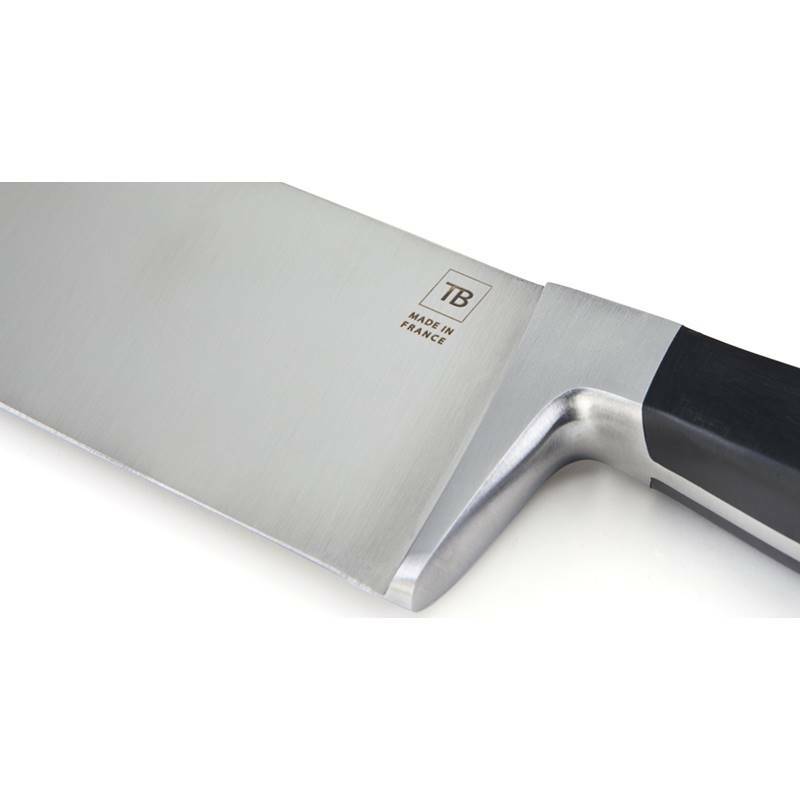 Tarrerias-Bonjean chose to develop a range of Forgé kitchen knives, which are extremely efficient. 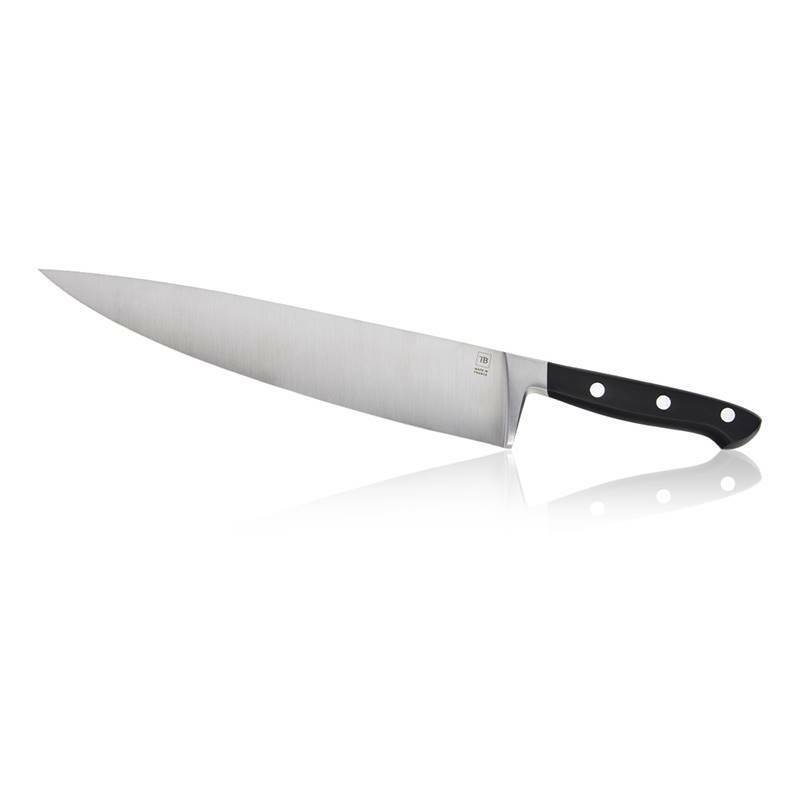 Appreciated by professionals, this full tang steel kitchen knife has massive steel rivets; the big blade of this kitchen knife ensures great sturdiness and durability. 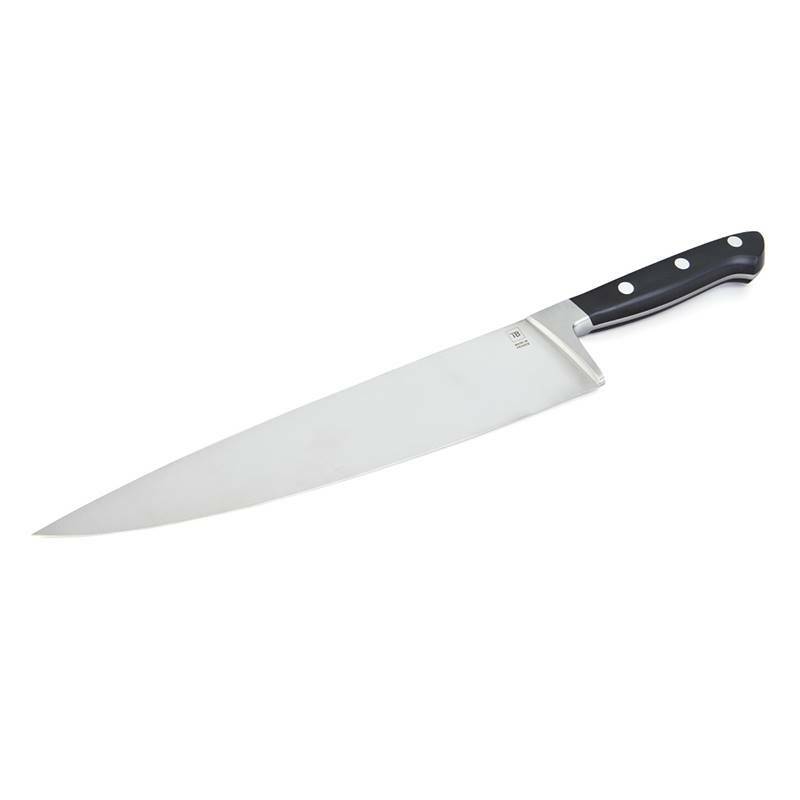 Despite the big size of its blade, this professional knife is very easy to handle and extremely handy. 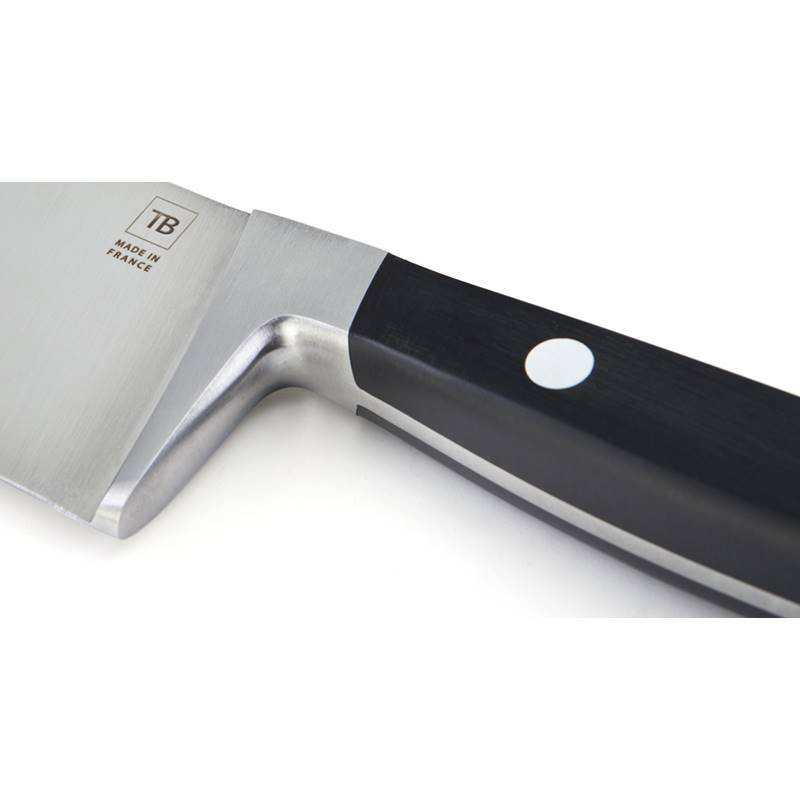 Dishwasher safe, the ergonomic bakelised wood handle offers a natural grip. 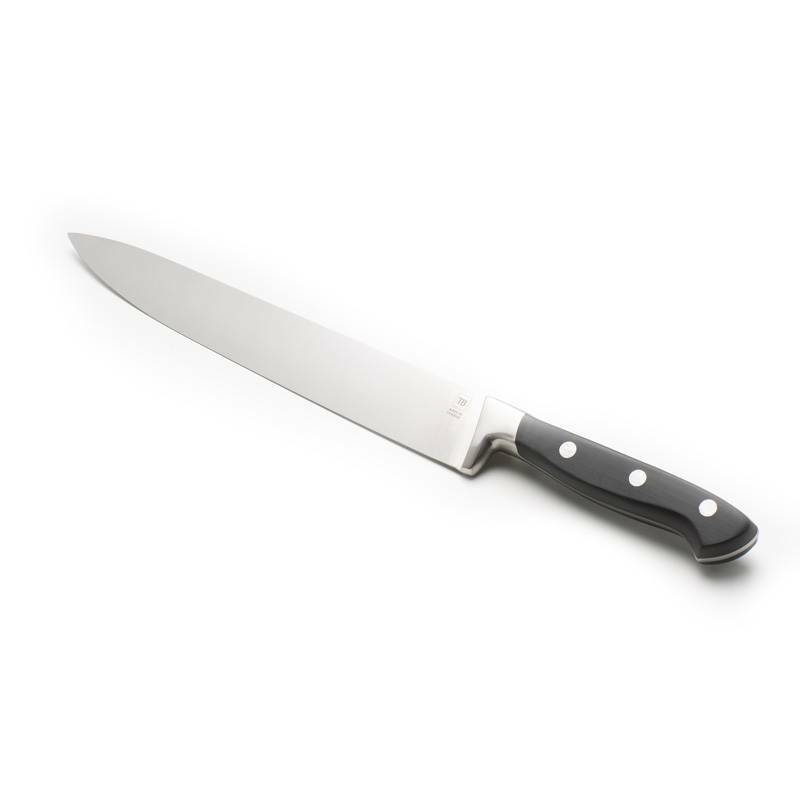 The blade of this Made In France knife can also be personalised by an original message up to 30 characters made by laser engraving.